Our website has been updated with all our recent design changes. Now that we’ve broken our backplane into 4 dual-channel backplanes, the starting price for the 2-channel version of the ISHIZENO i8 could be around $995, while the 8-channel model could retail for $1,995. To that, one should add around $400 for a full synthesizer like the Mutable Instruments Elements, and about $200 for something like the Moog Werkstatt-01, taking into account that our submodules won’t need any enclosure or controls. 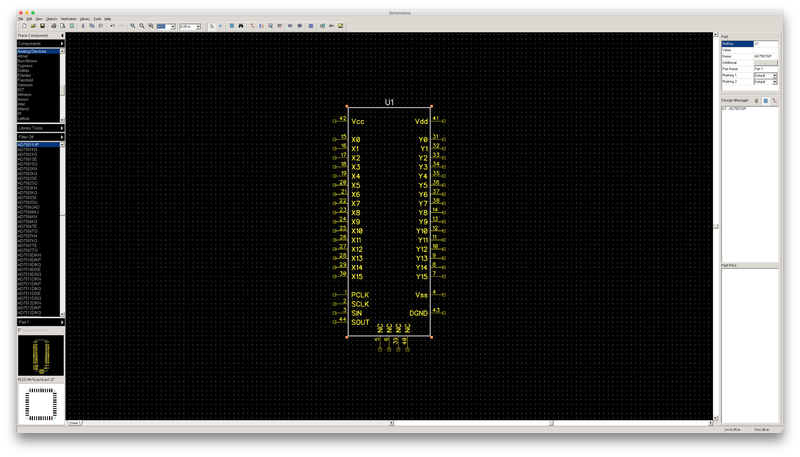 I have decided to add a stereo output on the faceplate of the i8 module, and to remove the one added to the g3 grid. This will help us avoid having to send a clean audio signal from the i8 to the g3. That way, we could connect the g3 to the i8 over WiFi as well. 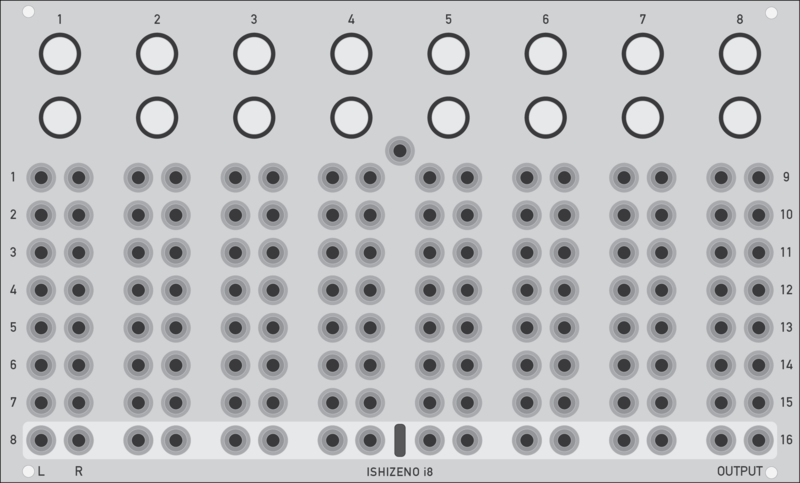 Following this recent redesign, here is what the ISHIZENO g3 grid could look like. The 16 drum pads have been grouped together and a set of 8 configurable keys have been added on top. These keys could be used to switch between modes, as well as for transport control (play/pause, forward, backward, etc.). Also, a 10mm groove has been added along the top side of the grid, allowing tablets to be held in a vertical position with a slight angle. With these modifications, the grid would be 910 mm long and 215 mm wide (35.83″ × 8.46″). One of the key design elements of the ISHIZENO i8 is its web-based user interface. Instead of using MIDI, USB, or a proprietary interconnect format, we will use web technologies to connect our submodular synthesizer to a control surface. This will be made possible by the embedding of a Raspberry Pi 2 Model B, which will be used as web server. As a result, the graphical user interface will be provided as a set of web pages served by an io.js server. One of the main side benefits of this approach is that musicians will be able to connect as many control surfaces and displays as they want. For example, you could have an ISHIZENO g3 grid with one iPad Air on each side. Or you could line up 8 iPad Minis in the grove of the g3, one for each polyphonic channel. And because each control surface will do nothing more than displaying a web page, we won’t have to do anything at the software level to support the most insane configurations.